In earlier days when the Gurukul system of education existed in India, children from the kingdom used to go to a forest area where a school was established by a Guru (Teacher). This school was called as 'Gurukul' in Sanskrit. The children used to reside in this place for a decade to learn from the Guru. Among such students, there would be a group of students who learnt when taught only once. There was another group which learnt when taught twice and there was another group which learnt when taught thrice. Based on the number of repetitions a student would take to learn a lesson, there were different groups of students made and the lessons were taught accordingly. Learning was the same but the method was different for different sets of students. In the current world, there are people with different abilities. Some need to be taught by teaching directly with words. Some need to be taught by exposing to practical exposure. Some can be taught by just speaking over phone. Some can be taught through online video tutorials. Some can be taught by asking them to perform certain tasks. 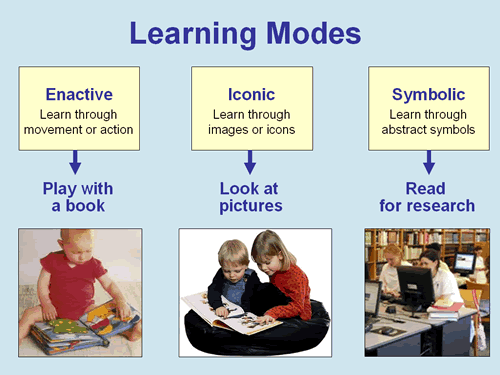 The modes of learning differ from one person to the other. It becomes very important for the mentor/ teacher/ trainer to choose the right mode for the right student. I do accept that it's not easy for someone to spot the right methodology for every student instantly. One has to try every available method to find out which method exactly works for the students. The quickness in choosing the right method shall be achieved as one garners more and more experience. This option of choosing the right method doesn't apply only for the person who is sharing lessons. It applies to the student also who is learning the lessons. It's the individual's responsibility to work and find out which type of learning works right for him/her. Once again the method which sounded right some days back might not sound apt some days later. So, one should be ready to change and adapt to new modes of learning as time moves on. Different information demand different modes to reach a person. So, one should be ready to explore different streams to embody different kinds of information. While one is battling through different modes of knowledge transfer to choose the right one, a student or a teacher might get into conflict while choosing the right method. A method which looks lucrative might not be practically implementable for a certain student. But the feelings attached cannot be erased until the wrong implementation is proved. So people must be ready to face bitter consequences too while exploring and experimenting with different modes of learning and teaching. At the end of the day, what's important is, learning the lesson. If the right lessons aren't passed between the mentor and the mentee then not just one person is at fault, it's the relation which is at fault by default.